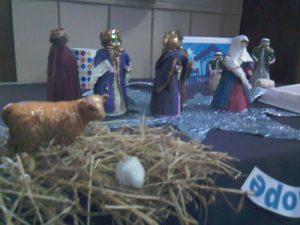 Hundreds of people enjoyed the Nativity Festival at St Columba’s Church in North Shields. 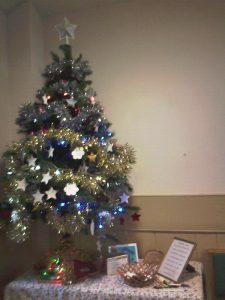 Members and friends worked hard to produce another spectacular display of Christmas trees, flowers, thoughts, and crafts. 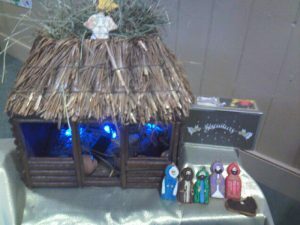 The exhibition was themed on the Nativity story, and featured crib scenes of all shapes and sizes. 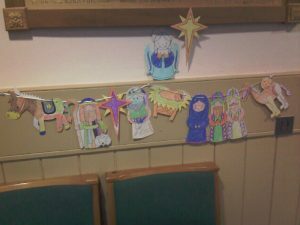 Some of the children had coloured in pictures of Mary, Joseph and baby Jesus, together with wise men, shepherds and angels, and had cut out candles from Christmas wrapping paper. 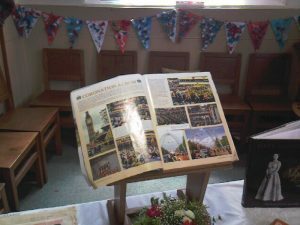 The Bible study group had cut out figures from printed text and placed them on an open Bible. 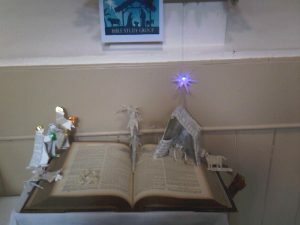 There were a couple of knitted Nativity scenes, and a tree made of Christmas cards. 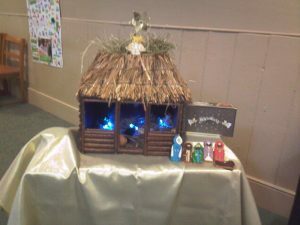 The Brownies had made an entire cattle shed, with its own windows and smoke coming from the chimney – surely the cosiest Nativity of all! 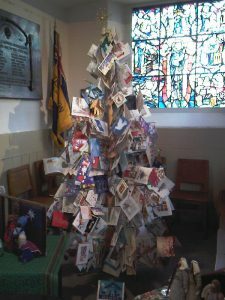 The thanksgiving tree proved popular, with lots of visitors choosing to hang up silver stars and baubles made of cardboard on which to write the name of someone they wished to remember this Christmas. 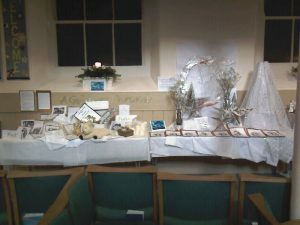 Perhaps the most thought-provoking contribution came from the Ladies’ Guild, who had produced a table of memories of past Christmases, under the heading of “A Golden Thread”. Through their lifetimes, they linked up Christmas past and present, and looked forward to the future with their grandchildren. 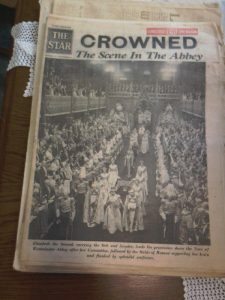 The ladies remembered the smell of Christmas cakes baking, memorable Christmas presents, singing carols, and dressing up for Nativity plays (including one with a real donkey! ), and the script for this year’s production. 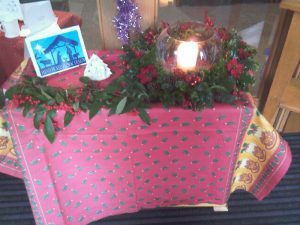 Refreshments and craft stalls in the church hall also proved very popular over the weekend of 14-15 December, coinciding with the town’s Victorian Christmas Market in Northumberland Square in front of the church. Nearly 20 people from across the Synod attended the second of a series of 4 training days for worship leaders and worship teams, organised by the Coast Mission Partnership. With changing patterns of ministry, churches are looking more and more to lay people and teams to help in leading worship, and these sessions are aimed at supporting them in doing so. 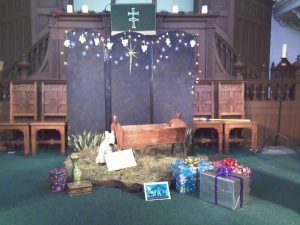 The event took place at Trinity Church, Gosforth, on Saturday 30 November, and was led by Lawrence Moore, Director of the Windermere Centre, one of the United Reformed Church’s resource centres for learning. 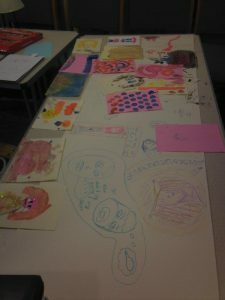 Participants grouped themselves around tables of 4-6 for the day, which included a mixture of teaching and group exercises. The training focussed mainly on preaching, including how to approach scripture, where to find resources, and how to work well in teams. 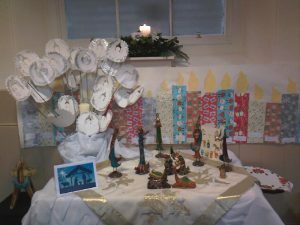 We were urged to create a ‘sacramental space’ in our worship to enable people to meet with God, to involve worshippers actively in services, and not to assume that only a highly professional presentation will do. Lawrence encouraged us to be open to be challenged and even offended by our study of the Bible, to enable us to see the world differently, and bring that fresh perspective to the congregation. We shared experience of using various resources: study Bibles, commentaries, musical and liturgical resources, and ourselves. We also looked at the vast scope offered by the Internet. 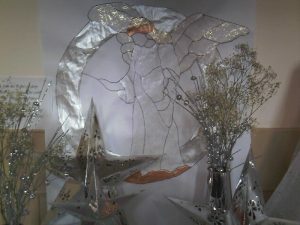 In addition to denominational websites, we looked at http://www.worshiptogether.com/, www.engageworship.org, www.arthurrankcentre.org.uk, www.christianaid.org.uk, www.freshexpressions.org.uk, www.worshipworkshop.org.uk, www.alternativeworship.org, www.bible.oremus.org, www.textweek.com, and www.theworkofthepeople.com. Finally, we considered the different roles that people play in groups, using Belbin’s analysis, noting that a body needs all its parts working together to be effective. In the context of teamwork, this means that a mixture of people are needed with complementary strengths in thinking, action and social roles. It was another inspiring training day, and we were very well looked after by the team at Trinity. The next training day is planned for Saturday 22 March, on the theme of prayer in worship. Over 200 shoeboxes were gathered in church on Sunday 17 November, before going out to children in poor countries in time for Christmas. 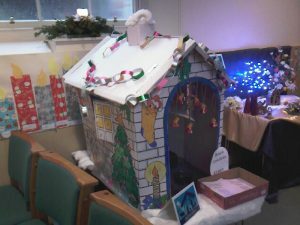 Once again St Columba’s members, supported by schools and the local community, has been able to brighten the lives of deprived children, through charity Samaritan’s Purse’s Operation Christmas Child. As the charity says, “Since 1990, more than 100 million boys and girls in over 130 countries have experienced God’s love through the power of simple shoe box gifts from Operation Christmas Child. 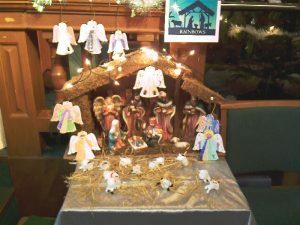 Samaritan’s Purse works with local churches and ministry partners to deliver the gifts and share the life-changing Good News of Jesus Christ.” The boxes were filled with small gifts such as toys, colouring books, toiletries, hats, scarves and gloves. For some, this may be the first Christmas present they have ever opened. 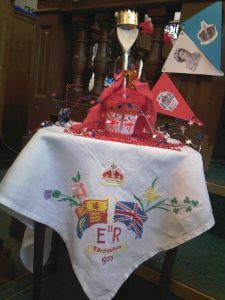 St Columba’s Church held a successful festival in celebration of the sixtieth anniversary of the Queen’s coronation. 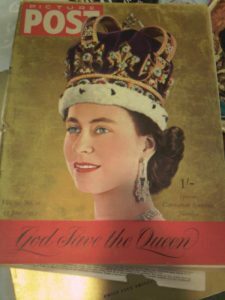 The doors were open on Saturday 1 June, to serve coffee, light lunches and strawberry scones. There were also some stalls and a tombola. 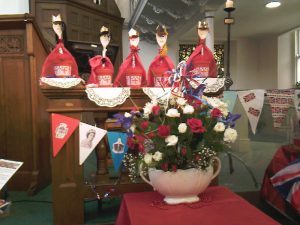 The church and hall were decorated in red, white and blue for the occasion, and there was a small exhibition of coronation memorabilia. 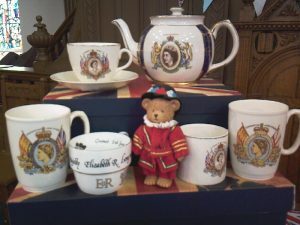 These included flags, bunting, pictures, a souvenir programme, newspaper cuttings from 1953, and souvenir mugs, tea set and table cloth. 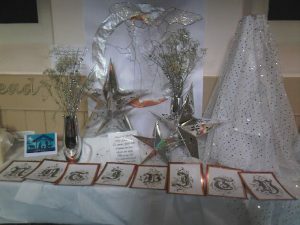 There were also hand-made decorations and floral displays. 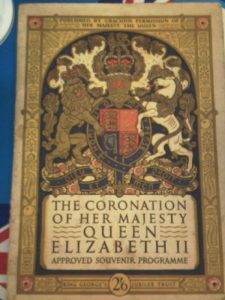 The sermon on the Sunday morning picked up the theme with reflections on Queen Elizabeth’s faith and devotion to her duty, and also our own call to be servants of God.